Explore South Africa with South Africa Sun. Here you will find sample South Africa vacation packages that we can customize for your time, family and vacation budget to create a tailor-made vacation. Our featured South Africa vacation packages include tours covering the very best in South Africa and safari travel. Call today or click on one of the South Africa vacation packages below for more information. Cape Family Fun – 15 Nights- Prices for this vacation start from $7,800 (£5,000) for two adults and two children. On this suggested itinerary you will keep you family fully entertained. Swimming with penguins, great beaches, wonderful accommodation, Ostriches, walking with elephants - the range of activities is incredible. We have spaced the driving to a 3 hour maximum. Desert Flowers, Cape & Safari – 17 nights- Prices start from $9,000 (£6,800) for two. After starting in the civilized comfort and scenic beauty of Cape Town, you will be driving along good roads into some of the most remote areas of South Africa. Travel during August / September and you will be rewarded with one of the most spectacular botanical sights anywhere. You will complete you trip with a unique safari experience in the Kalahari. Truly and trip to remember! Honeymoon Package Cape & Safari – 14 nights- This is the ultimate Honeymoon. The price starts from $10,600 (£8,000 for our British clients) for two people. You will be staying in some of the most luxurious properties in South Africa and you will experience wonderful cuisine as well as the history, wineries, spectacular scenery, beaches and, of course, animals from the vantage point of an open vehicle in the Addo National Park at Gorah Elephant Camp. 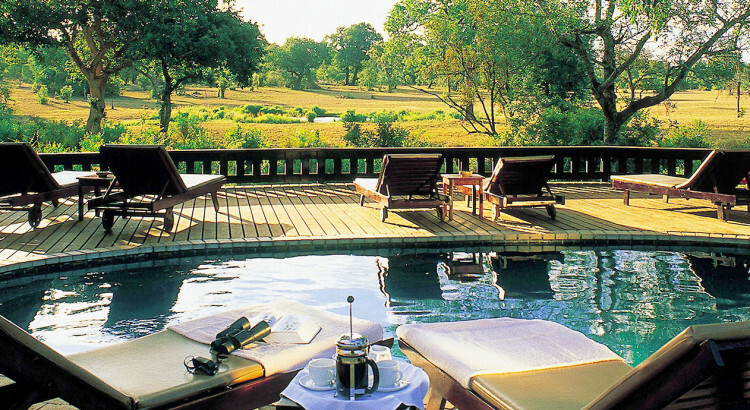 South Africa Short Break – 8 Nights- This is really a taster for what South Africa has to offer. Prices start from just $5,200 ( £3,700). We believe you will be amazed at the value of this short week's break. You will have four days to enjoy the Cape Town area and complete your trip with a great game experience . We know that this will whet your appetite and you will want to return! The Cape – Dinosaur Tracks – 14 Nights- For a price starting from $5,100 ( £3,700) for our British clients), you will enjoy a part of South Africa rarely experienced by international travellers. Here you will literally start in the footsteps of dinosaurs in the extraordinary scenery around charming Graaff-Reinet. You will traverse spectacular mountain passes, enjoy the wonderful beaches of The Garden Route and complete you journey in historic and scenic Cape Town. The Cape & Garden Route Package – 14 Nights- Prices for this vacation start from $6,000 (£4,900) for two people. On this journey you will enjoy the scenic beauty and vibrancy of Cape Town and the Cape Winelands as well as the spectacular scenery and wonderful beaches of The Garden Route and complete your trip with an all inclusive safari.